Mrs. Murphy has been employed with St. Johns County School District since 2004. She began her teaching career as an elementary school teacher and reading specialist in 1997 in Miami-Dade and Broward Counties where she focused on the primary learner and targeted literacy skills. 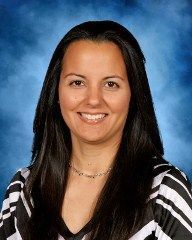 She continued her teaching career at Fruit Cove Middle School in St. Johns County for several years and entered the field of school administration. Mrs. Murphy served as an assistant principal at Fruit Cove Middle School, Crookshank Elementary, and Cunningham Creek Elementary. 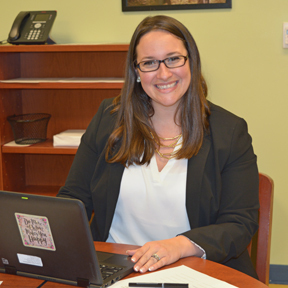 During the 2016-17 school year, she represented St. Johns’ County as their Assistant Principal of the Year. Shortly after, Mrs. Murphy was appointed principal of Julington Creek Elementary School. She holds a Bachelor’s Degree in Psychology from Florida International University and a Master’s Degree in Education from Barry University. Her certifications include School Principal, Educational Leadership, Middle School Mathematics, and Elementary Education. Mrs. Sparks comes to us from Valley Ridge Academy, one of the districts three K-8 schools, where she served as their Instructional Coach. Before working at Valley Ridge, Mrs. Sparks served as the Instructional Coach at Durbin Creek Elementary. Originally, she is from San Antonio, Texas and made her way over to Florida six years ago. In Texas, she spent five years in the classroom and began her first year of Instructional Coaching before moving here. She graduated from the University of Texas San Antonio with a Bachelor’s Degree in Elementary Education. She went on to finish her Master’s of Teaching with a focus on Urban Education at the University of Southern California. Shortly after that, she decided to go back to school for her Master’s in Educational Leadership from the University of West Florida. Mrs. Sparks has a passion for learning and believes that when she is not learning, she is not growing. She believes in educating the whole child and enjoys uncovering the many different learning styles of the children and teachers she works with. She loves to chat about curriculum and instruction and keeps children at the center of every conversation that has to do with it. 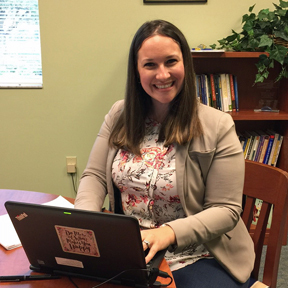 She has enjoyed teaching future educators at the University of North Florida and providing trainings to teachers and other Instructional Coaches around St. Johns County. Mrs. Sparks is also very passionate about building relationships with parents. She knows how important the home and school connection is in fostering academic success in children. She is excited to be a part of the Julington Creek family and looks forward to becoming a long time Jaguar!